On November 12-13, in the Italian city of Palermo, the international Conference for Libya took place. 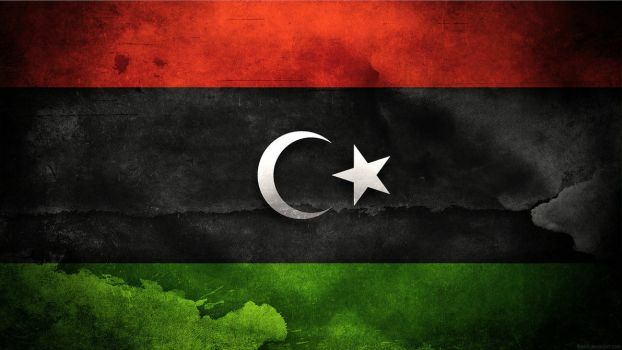 The Ministry of Foreign Affairs of Russia declared its readiness to host the next conference to resolve the situation in Libya in the event that the parties to the negotiations would be interested in holding such an event and are ready to reach real agreements. This was reported on November 13 by the Russian news agency RIA Novosti with reference to the special representative of the President of the Russian Federation on the Middle East and African countries, Deputy Minister of Foreign Affairs of Russia Mikhail Bogdanov. “They (representatives of the Libyan parties to the negotiations) were practically all alone in Moscow. If they are ready and interested to come to Moscow all together at some specific time, I think we will be happy to receive them, ”he said. At the same time, Bogdanov added that the Libyan parties need to come to a compromise regarding the outcome of the proposed meeting. According to the diplomat, the negotiations should have a practical result, enshrined on paper. “The main thing is that agreements should be implemented not in words, but in practice, which would allow to restore the unity of the country,” he concluded. Mikhail Bogdanov also said that Russian Prime Minister Dmitry Medvedev at a meeting on the security of Libya with the participants of the International Conference on Libya in Palermo outlined his vision for solving the problems of the region. According to him, in addition to Dmitry Medvedev, the participants in the meeting included Italian Prime Minister Giuseppe Conte, President of Egypt, President of Tunisia, Prime Minister of Algeria, President of the European Commission Donald Tusk, Minister of Foreign Affairs of France, Special Representative for Libya Ghassan Salamé, Representative of the Presidential Council of Libya Field Marshal Khalifa Belqasim Haftar. "Each participant outlined the approach of his country, D. Medvedev outlined the principles of our policy, how to ensure unity in the country, outlined his vision for solving problems," said M. Bogdanov. November 11, in Palermo, on the eve of the international “Conference for Libya”, Mikhail Bogdanov met with the Special Representative of the UN Secretary General for Libya, Ghassan Salamé. During the conversation, the current aspects of the current situation in Libya were discussed in detail with a focus on the need for the earliest possible establishment of a sustainable political process aimed at achieving national harmony in the interest of creating unified governmental bodies through appropriate electoral procedures. At the same time, the Russian side confirmed the unwavering support of the efforts being made by G. Salamé in this area. November 11, in Palermo, Mikhail Bogdanov met with the Chairman of the Supreme State Council of Libya, Khaled Mishri. During the conversation, a thorough exchange of views was held on the issue of normalizing the situation in Libya. At the same time, the Russian side reaffirmed its principled position in favor of overcoming inter-Libyan disagreements along the lines of a broad national dialogue in the interests of ensuring the unity, territorial integrity and state sovereignty of Libya. November 12, in Palermo, Mikhail Bogdanov met with the Chairman of the Chamber of Deputies (Parliament) of Libya, Agila Saleh. During the conversation, an in-depth exchange of views took place on how to achieve sustainable political stability in Libya through building a viable system of government based on the widest possible support of the Libyan people. On November 12, Mikhail Bogdanov also had meetings with the Deputy Prime Minister of the Government of National Accord of Libya, Ahmed Maytig, and the Minister of Foreign Affairs of the PNS of Libya, Mohammed Siala. During the talks, the key topics of the Libyan agenda of the international forum in Palermo were reviewed, including the prospects for establishing an inclusive political process in Libya, as well as implementing further targeted measures to stabilize the national economy and security spheres with the assistance of the UN.